Yes, it’s that time of year again. 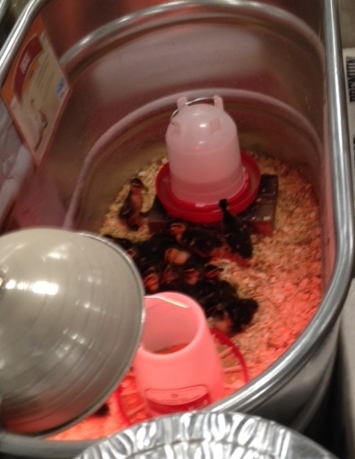 The baby chicks (and ducks) are back at Tractor Supply. This time we were in Westminster running errands and stopped in for some bird food, and the cheeps from the chicks always attracts us. They had laying chickens and meat chickens, and they had baby ducks. I really wanted the ducks, but I can’t convince my husband to turn my old garden into a home for them. I mean, after all, duck eggs are amazing. 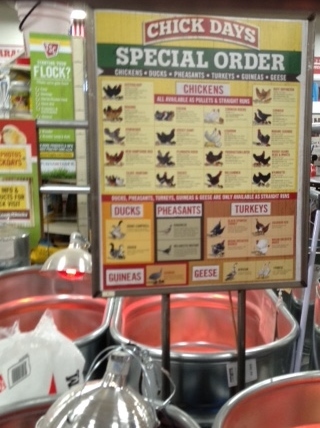 You have to buy a minimum of six chicks. There are signs everywhere telling people these are not Easter pets. These are farm animals, which you can raise in a fairly limited space if your county regulations allow it. For us, we would have to do some serious planning. Just to keep them safe from the occasional fox, and the resident hawks. Still, it is something I would love to do. I don’t know, I could use subterfuge and blackmail, like telling him I will buy one of these instead. 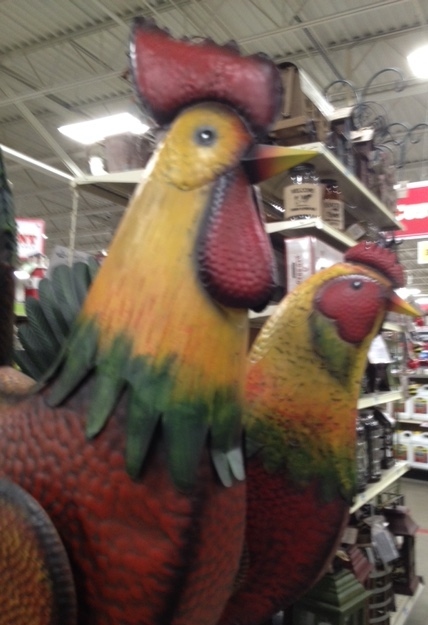 Hey, they are only $199.99 and just think what you could do to drive your HOA crazy with one of these babies in your front yard. Out here, though, no HOAs, so I could make it my new driveway guardian. Do you think it would scare the hawks? Posted in Birds, Bucket List, Farms, Food, Local Businesses and tagged birds, community, farms, hobbies, real food. Bookmark the permalink.